Elijah Pugh’s descendants gathered on the porch of the museum. Attendees heard from a variety of speakers. The museum hosted an American Revolution Symposium in May, 2012 that coincided with a reunion of the descendants of Revolution veteran Elijah Pugh who was buried in Clarke County. Visitors to the event came from as far away as Canada, Texas and Michigan and spent the weekend at the museum getting to know their distant “kin.” The event concluded with the dedication of the Elijah and Isaac Pugh historic marker. 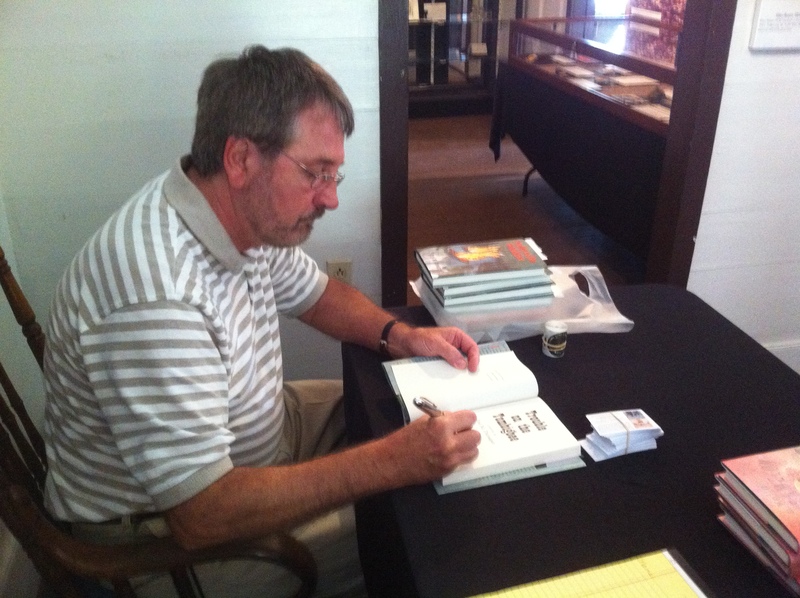 Once again, the museum was proud to host a book signing for Clarke County native Ted Dunagan, on August 26 & 27. His third book, Trouble on the Tombigbee, loosely based on his boyhood adventures with friend, Poudlum, near Coffeeville is now for sale in the museum store. The second reunion of descendants of the 38th Alabama Infantry drew more than 100 people to the museum for a weekend of education and fun. Held March 27-28, the event was co-sponsored by the museum and the James C. Anderson Camp of the Sons of Confederate Veterans. Historian Art Green, who has written a book on the 38th Alabama Infantry, was the impetus behind the reunion. During the course of writing his book, he met many descendants and kept in touch with them. They, along with society members and others in the community, were invited to attend the latest gathering. The weekend was kicked off by a meet-and-greet social held at the Helms House. Mike and Cynthia Henson did an excellent job organizing the event and providing wonderful food. 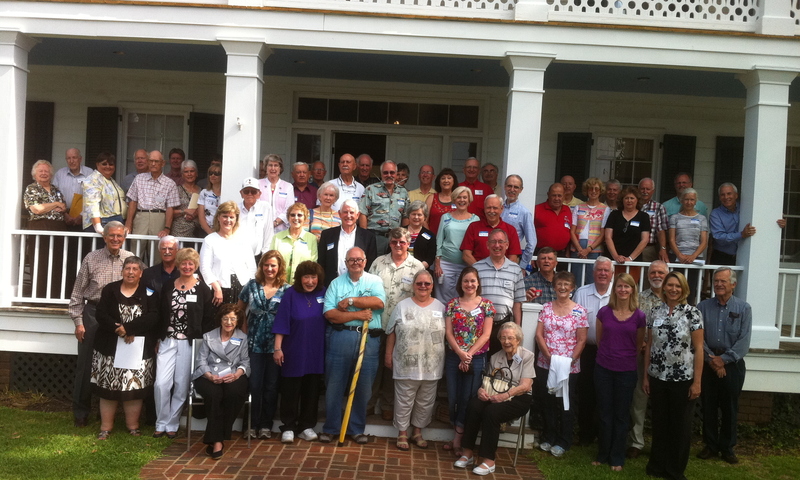 Saturday morning, participants gathered at the museum for biscuits and coffee before a group photo was taken. Everyone made their way to the Grove Hill Nutrition Center for a day of outstanding programs. David Weaver of Dallas, Texas gave a lecture on the Battle of Chickamauga, a battle in which many Clarke Countians fought. A portion of his speech is included in this Quarterly. He was followed by Leah Meador who provided an excellent example of historic preservation with the Civil War letters of her ancestor. Two more presentations were given after lunch. Ellen Williams offered a touching monologue of a mother visiting her son’s grave at the Resaca battleground. Art Green … The lecture portion ended with a show-and-tell where many interesting items were displayed. A large crowd turned out Saturday night for the campfire supper held at the Mathews Cabin. Jerrold and Laura Syphrit and Brent Fuller cooked a fantastic stew, and everyone enjoyed eating while listening to period music by Winky Hicks, Clarence Carpenter, Shaun Sea, . Before the end of the night, the Clarke County Living History group entertained spectators with the dancing of the Virginia Reel. The weekend’s events were closed with a solemn memorial service at the Kennedy Cemetery in Chance in honor of Cpl. Howard Covington Davis, an ancestor of Susie Kennedy. The event also served as the Historical Society meeting for March. Special thanks go out to (in no particular order): Pat McGraw, Town of Grove Hill, Mary English, Clarke Baptist Association, Joe and Mary Dodds, Monette Morrison, members of the James C. Anderson Camp, Art Green, Clarke County Living History Association, and Jim Cox for the various roles they played in making this event a success! Art Green says, "We want to thank those descendants that came to our reunion. It is especially touching to meet mess mates of our ancestors. We have a special bond as they suffered through so much together from 1862-1865. We are also special as we descended from the survivors. Many did not make it through the war, and some lie far away from home in a place strange to them. It's good to remember those especially. "Thanks to the City of Grove Hill for its hospitality and use of facilities. Thanks to Kerry Reid and the Clarke County Historical Society for its support and use of facilities and thanks to James C. Anderson Camp 1489 Sons of Confederate Veterans for all the hard work they put into the entire reunion. "Our speakers were terrific. David Weaver shared his research on the Battle of 1863 at Chickamauga, and his actual experiences in two re-enactments on the same grounds. His uniform was stained with the muddy water of Chickamauga Creek. Leah Meador has done a especially fine job on transcribing and researching Lt. Cole's letters home, and we appreciated her sharing her work and the handouts with some copies of his material. Ms. Ellen Williams didn't leave a dry eye in the crowd when she described her heartfelt talk with her son at his Resaca gravesite. "Thank you to the individuals who brought actual artifacts and photos of our ancestors. The re-enactors were especially touching at Corporal Davis's grave in Chance on Sunday, and thank you, Ms. Susie Kennedy, for bringing this event to such a memorable occasion. Like Minnie Pearl, I was just so proud to be there." Terry W. "Beetle" Bailey, Southwest Brigade Commander, Alabama Division, SCV,Mobile, Alabama, participated in the 2009 Reunion events. He had some very complimentary remarks to make about the reunion: "This past weekend...can be summed up in one word....blessed. The opportunity to be a part of the reunion of the descendants of the 38th Alabama Infantry was nothing short of a blessing. The thought of a group of people getting together for a reunion based solely on the fact that they are descendants of a Confederate infantry regiment is nothing short of wonderful." During Saturday's program Bailey was called upon to discuss the concept of 'messmates.' 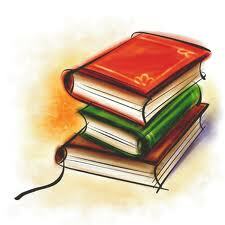 He writes, "...This little program was based on the information I have gathered from the writings of Pvt. Carlton McCarthy. It was well received and I was honored to be an active participant in the program." About the Saturday evening entertainment he had this to say, "Compatriot Winky Hicks and friends provided the musical entertainment. They played one of my favorite songs, The Rebel Soldier. I always get a chill when I hear that song. The Anderson Camp boys had a space cleared in front of the porch of the cabin and it wasn't long before the Virginia Reel was being performed. My, my! What a good fellowship we had!" "The Anderson Camp was at their very best with this ceremony. (Confederate Memorial Service and Marker Dedication) Some of the other participants were Compatriots Stephen Ellison, Steve Kennedy, John Brewer, and Claude Turberville, all of the Semmes Camp. David Weaver, our Texas compatriot also participated as a reenactor. Claude had the 'Bull Pup' and I fired the Semmes Camp mortar, 'Matilda.' Needless to say that the firing of rifles and cannon is always a crowd pleaser. "The reenactors at the graveside performed the libation ceremony. Oh, how I love that part of the service. They also folded and presented the flag to a descendant of Cpl. Davis. This was truly an outstanding ceremony." His closing remarks were, "Dear friends and compatriots, life does not get much better than what I experienced this weekend. I offer my sincere thanks and appreciation to all of you who made this experience possible. God Bless all of you!!" Visit the 38th Alabama Website (http://www.38thalabama.com/grove5.html) for more photos. Several contractors were sought to do complete the daunting task of restoring what was left and rebuilding what was not, but none were willing. In the meantime, volunteers erected a tin shed over the cabin to protect it from the elements. Finally, contractor Lou Como inspected the cabin and believed he was up for the challenge. Within a few months, the cabin had already made quite a transformation. Dozens of businesses donated materials and a group of society members volunteered their services. Numerous donors contributed funds to pay Mr. Como. Dr. David Mathews gave the keynote address, giving a brief history of the large number of families connected to the cabin. He recognized Lucy Dortch and her son, Bill, thanking them for being for ensuring the cabin’s safety for all those years. He also told about a unique discovery by Mathews cousin Bill Hearn just after the cabin was moved. During the time the area was experiencing drought condition, Mr. Hearn went to the old house site and happened upon a stash of letters that had been tossed out by the movers. The letters were written in the 1860s by Mathews family members and were a treasure trove of the family’s, as well as the cabin’s, history. Check out photos of the dedication. Following Dr. Mathews’s address, the crowd of about 150 guests made their way to the museum complex for old-fashioned treats at the Helms House and tours of the Mathews Cabin By this time the rain had subsided, and everyone enjoyed visiting with the costumed re-enactors portraying the original inhabitants. It was a wonderful day to celebrate the history of our county! Clarke County native Ted Dunegan was at the museum Saturday, April 26 to sign copies of his novel “A Yellow Watermelon.” About 50 people came by to get their copies of the book at the museum store and have Mr. Dunegan sign them. The book is available in the museum gift shop. Call 251-275-2014 to get your copy. Volunteers make Pioneer Day the best ever! The unseasonably warm temperatures and bright sunshine brought an enormous crowd to the museum’s Pioneer Day in November, 2007. This was the eighth year the living history event has been conducted on the museum grounds. All of the popular pioneer demonstrations were back this year, with the addition of several new ones. The big hit of the day was the Josiah and Lucy Martin Mathews Cabin which is still under restoration. Re-enactors portraying the Mathews family greeted visitors and gave tours of the historic structure. Many dedicated volunteers make this event possible. We would like to thank demonstrators: Jim and Martha Herod, Frances Ohme, J and E Blacksmiths, Brent, Sylvia, Abbie Fuller, Shirley Counselman, Mary Lee Criswell, Margaret Marks, Jerrold Syphrit and family, Steve and Ann Kennedy, Dewayne Schultz, Ferrell Hinson, Kevin Breeland, Greg Sellers and Scotch Lumber Company, Dana Dunn, Charles Pezent, Maurie Outlaw, Wendy Padgett and Clarke County Extension Service, Clarke County Re-enactors Association, Denny Hare, Randy Luker, Rojean and Harold Reid, Gay DeWitt, Melvin Joiner and the entire Western Swing Band, Tommy and Brenda Hart, Dink Logan, Denny Hare, Walt Bradley, David Foote, Cheryl Horton and the Grove Hill Area Chamber of Commerce, the Grove Hill Arts Council, the Southern Magnolia Study Club and Clarke County High School and Clarke Prep School volunteers. Special thanks also go to Marion Bumpers for all of her hard work orchestrating the very successful bake sale fundraiser as well as those who made cakes and goodies for us to sell. Thanks to the many “room sitters!” We also appreciate Allen and Kate Jordan cooking the food for the concession stand and the Town of Grove Hill and its employees their volunteer efforts! Thank you to the following businesses: Andrews Associated Foods, Coca Cola, Golden Flake, Greer’s Food Tiger, McDonald’s, Sara Lee and Wal-Mart.